With rainy weather and snow, it’s so uncomfortable having wet feet while hiking or snowshoeing. Avoid this common problem with the Verglas Gaiters by Outdoor Research. 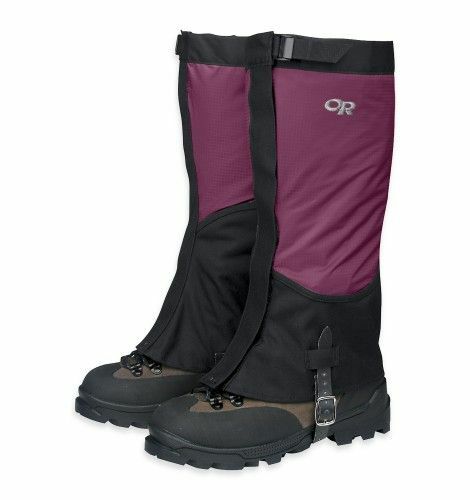 Designed specifically for women, these gaiters are will keep you well protected with a combination of a waterproof, breathable fabric upper and a durable inner leg, as well as closures at the top, front, and instep so that you have a nice tight fit (read, no water or snow getting past those gaiters!). A definite must for fall/winter weather adventures!